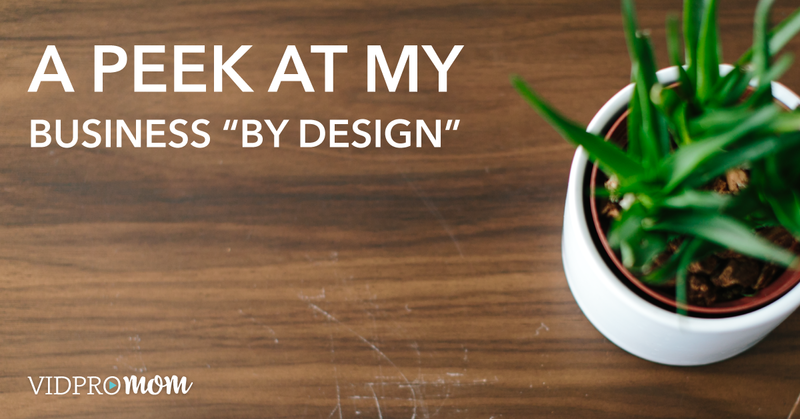 A Peek at my Business "By Design"
In 2017, I joined James Wedmore’s “Business By Design” program, and while it is soooo informative, I think his BBD videos (launch videos) make it feel like you’ll be rolling in a Tesla by next week. 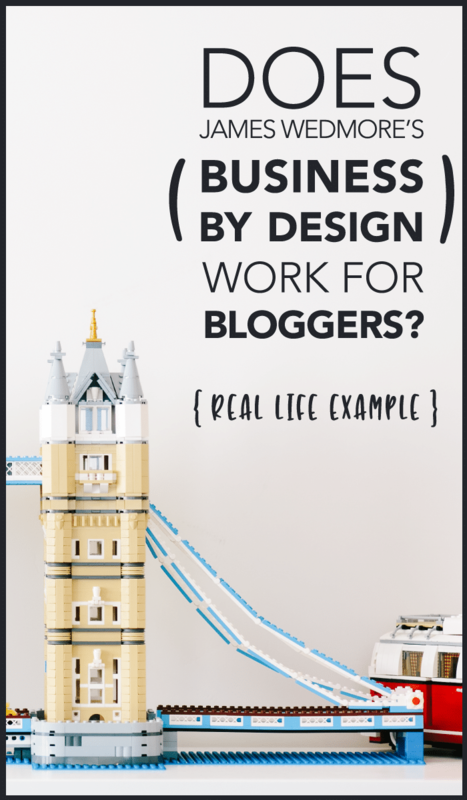 I want to give you a more “real life” example of what a “business by design” looks like (especially as a blogger), from someone who just recently joined the program. Because when James says so-and-so “generated $165,000 in less than two weeks” I kinda want to roll my eyes (haha!). Not to take away from his students’ successes – it’s totally legit. It’s just not my reality right now. Now that James’ launch videos are making their rounds again (and they are absolutely fantastic, no matter where you’re at with business, btw) I want to talk about my experience. I launched VidProMom in January 2015 with weekly YouTube videos and blog posts. I did that for a year. I didn’t even miss one week! That was my goal… publish one video/blog post a week for a year. I didn’t have a monetary goal or a metrics goal, but I finished out the year with 2,000 YouTube subscribers and I thought that was amazing (it is–any amount of YouTube subscribers is a huge feat for this introvert!). The following year, my goal was to keep growing (of course) but to also experiment with monetization. Meaning ways to earn money via this blog and YouTube channel thing. Errbody talks monetization but few people really know that it takes work. And there’s a gazillion ways and methods to do it. One of the ways I started to experiment with was creating an online course. These are some of the things I know you will relate to if you’ve ever had an idea and a desire to create an online course or program. You might have even made some of these mistakes yourself! Mistakes are lessons and I’m grateful for them, but at some point, it’s time to grow up and learn the right way to do things. Ya feel me? I launched my first course based on what I read in Jeff Walker’s book, Product Launch Formula, and “backwards engineering” other people’s launches. I.e. cobbling multiple plans into one. I also tweaked a bunch of stuff at the very last minute, including… get this… I decided to switch email providers (from Mailchimp to ConvertKit) 3 days before the launch. Three. Days. Before. Launching. My. First. Course. WHY WHY WHY WHY WHY. I don’t know. I really don’t. That first launch was surprisingly successful (by my own measure) despite me being clueless about the process. It was also incredibly stressful. And I thought all launches were supposed to be that way… Nerve-wracking, late nights working, last minute tweaking. Uh, no. Launches are not supposed to be stressful, and in the Business By Design program, I learned that having a rock-solid plan handed to you from beginning to end reduces stress by like 95% (come on, you gotta get a little nervous or it’s not even any fun!!). What’s wrong with that, you ask? Well, for starters, I put a LOT of work into the launch itself (not to mention course material), so when I launch ONCE and then give up and move onto something else, I throw away all that hard work. 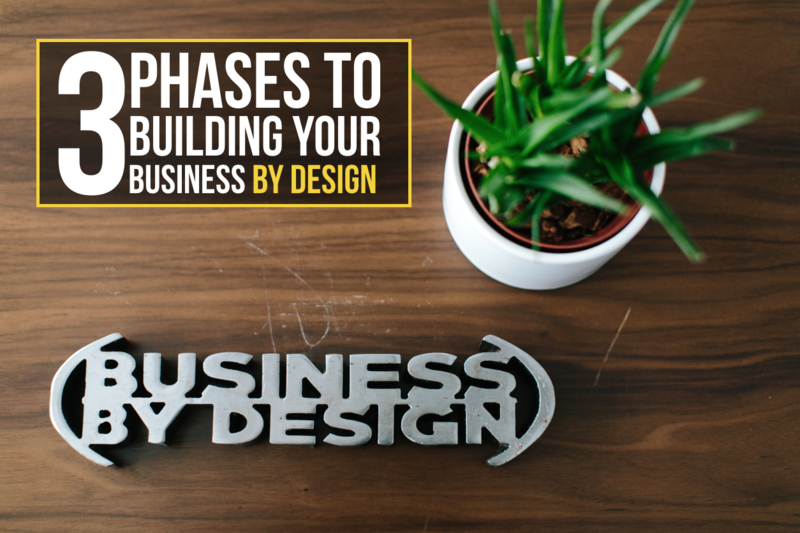 After joining Business By Design I had a HUUUUGE epiphany… increase traffic, improve conversions, and launch again… DUH! I have to say that again. Launch again… DUH! I had inadvertently created SO MUCH MORE WORK for myself because I didn’t have a process for launching that could be replicated easily. James’ first video in his free workshop talks about processes… this is HUGE. It’s really hard to “see the forest through the trees” when you’re blogging and creating YouTube content, especially at first. Creating content for the sake of creating content (to up your traffic, increase views, grow your audience) is fine at first, but at some point, you have to have a plan for all that traffic! 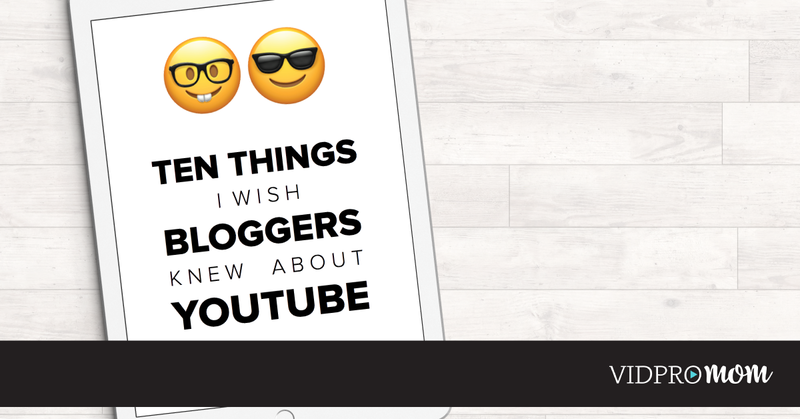 This is a toughy for me because I am a YouTuber, not just a blogger & course creator. Sometimes YouTube is about creating content to get the views/subscribers to grow your channel and reach more people. But when you’re trying to monetize through selling a digital course… you need to create content that attracts the exact right person, helps them solve a problem or learn something new, then gets them “on board” for more great content from you… maybe more free content, possibly some paid content (i.e. a digital course). To quote Peter Drucker, “what gets measured, gets improved.” Right now, I’m in the “measure everything” phase of business… what’s working, what’s not… what’s generating revenue, whats not… what’s taking a TON of time, what’s not… thanks to all that I’ve learned through BBD, I know what to measure, and how to improve what’s working. At the time of this writing, I’ve done two launches (for two different programs) since joining Business by Design, and I’m gearing up to re-launch one of those same programs… and instead of being stressed about it, I’m excited! Let’s do this! Without a doubt, I am still learning. Always. I’m not doing 6 figure launches, and it will probably be quite a while before I come close to a 5-figure launch. But by offering my audience digital courses, I’m serving in ways that I can’t do with YouTube videos or blog posts alone. I’m not a high roller by any means, but I am enjoying the freedom of self-employment and I LOVE what I do. If you are even remotely curious about really stepping up your game, I highly recommend James’ 8-part series. It’s totally free and it’s very enlightening. If you’re a blogger, YouTuber, aspiring content creator or just wanna jump head first into the online business space, I don’t know how you could watch these videos and NOT get TOTALLY PUMPED! Would I recommend James Wedmore’s Business By Design Program? Previous Post: « GoPro Editing Software – Which video editors are best for beginners? Hi! I’m a bit careful here, but would you mind letting me know what you paid for the program? It doesn’t have to be a number, but roughly hundreds or thousands? I’m really thinking about joining this time, but I really need to make a revenue plan around it if it’s going to cost me thousands. But he’s not opening the cart for too long so I’m a bit at a crossroad here! Hi Meredith, thanks for this article. I recently watched all of James videos on BBD as he launched his current session. I thought I couldn’t do it and didn’t have an idea. Then just the other day a massive idea came to me for an online dance course. I thought ok I’ll hold on to this, try figure out how to do the things on my own. But then I started listening to his podcast and got swept away… Fear quickly popped and lack of funds (I mean zero money in my account) popped into my head. I commented on a post of jame’s yesterday asking when he would be reopen the course and I thought he would get it weeks from now, nope he messaged me right away and was like it will be closed for a while but we can get you in if you are interested. You mentioned you tried to figure it all out and would stay up late. It’s true that he basically gives you everything so you don’t have to being crying at night pulling your hair out because you don’t know what your doing? Am I crazy to think I can do this and spend ALL THAT MONEY and potentially loose it all? Thanks for taking the time to read this. I just don’t want to make a $5000 mistake and be trying to figure it all out on my own again. Hi Akeisha, sorry I didn’t reply to this sooner. Only you can decide if BBD is right for you, of course, but it does open again in October. It is very in-depth and really covers everything about creating and launching a profitable course (or membership program, etc. ), but I think (personally) it really helps to have already started to build an audience around your topic. Hi Penelope, I’m not sure what all James is offering this time around, so I’m really not sure on the price yet.